Russia’s Foreign Minister Sergei Lavrov accused the US of abandoning diplomacy in favor of “sanctions and blackmail”, stating that Moscow is considering how to reduce the use of dollars for trade. Moscow and Ankara have been hit by new US economic sanctions this month, precipitating sharp falls in their currencies and fears of further economic woes. The two countries have sought closer ties in recent years as they seek to mediate an end to the conflict in Syria, and Moscow aims to increase its energy supplies to Turkey, Financial Times reported. “Sanctions, threats, blackmail, and diktat are being used. 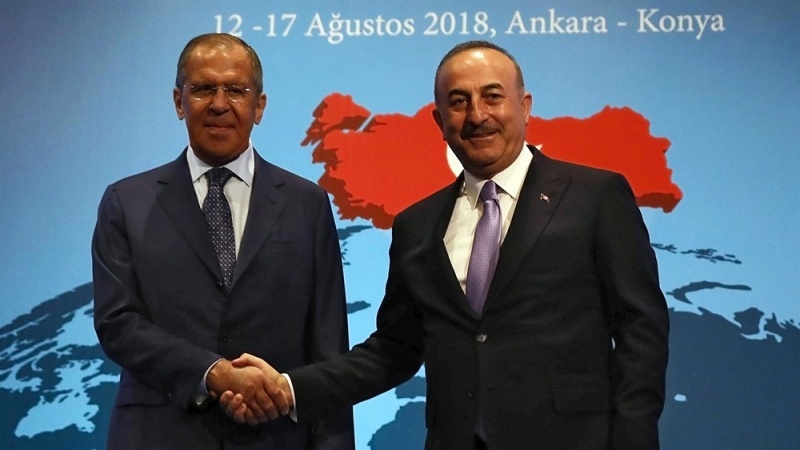 In these conditions, it even seems that some of our Western partners have lost the culture of diplomacy,” Lavrov said, standing alongside his Turkish counterpart Mevlut Cavusoglu. He added that Washington’s use of its currency to pressure other countries would ultimately lead to weakening of dollar in global trade. “Gross abuse of the role of the US dollar as a global reserve currency will cause its role to be weakened, to fall, and more and more countries that are not even affected by US sanctions speak of going away from the dollar and rely on more reliable currencies,” Lavrov said. The Russia’s foreign minister added that Moscow had for some time considered settling trade between Russia and Turkey, Iran and China in national currencies, rather than the dollar. “The use of national currencies in mutual trade has been one of the tasks undertaken by the presidents of Russia and Turkey for several years already,” he said, adding that “in our relations with Iran, the same processes have been taken place, and not only with Turkey and Iran, but also with the People’s Republic of China we agreed and we have already realized payments and settlements in national currencies”.